Lily Thomas is as determined as they come. A professional skier who won the bronze medal at the age of fourteen, she's now seventeen and poised to take the gold at the upcoming Olympic Games. Everything is on track for a successful competition and a celebrated future, until the unforeseeable occurs and her life is changed forever in a horrific accident. Lily's wealthy father, Bill, is utterly beside himself in the wake of his daughter's devastating news. Lily means the world to him, especially since he raised her singlehandedly after her mother's death. So when he feels the need to pin the blame on someone, it seems only natural that his anger be directed at Jessica Matthews, Lily's orthopedic surgeon who, though she managed to save his daughter's life, simply couldn't prevent the ghastly reality that she would forever be confined to a wheelchair. In the midst of all this, Jessica receives her own set of dreadful news on the night of Lily's surgery - her husband was killed in a horrific car Accident on his way to take one of their four children bowling; an event she would have accompanied him on had she not been called away for the emergency. With their worlds collapsing around them, the recovery process is a slow one for these three very different people. But just when it seems things couldn't get worse, hope, love and redemption reign supreme as they work to turn their personal tragedies into triumphs and spread joy to others. 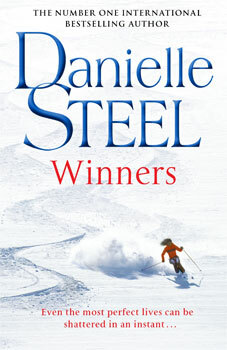 Danielle Steel is one of the world's most popular and highly acclaimed authors, with over 600 million copies of her novels sold. Her many international bestsellers include Happy Birthday, 44 Charles Street, Family Ties and Legacy. She is also the author of His Bright Light the story of her son Nick Traina's life and death and the memoir A Gift of Hope. She lives in California and Paris.